About 1 in 8 U.S. women (just under 12%) will develop invasive breast cancer over the course of her lifetime, but there are things we can do to help beat those odd. Diet can play a large role in breast cancer prevention. The World Health Organization estimates that 25% of cancers are related to improper diet. For instance, women who eat more high carotenoid foods have a 20% lower rate of breast cancer compared to those who get the least. Carotenoids are the colorful pigments found in foods like carrots, tomatoes, and leafy green vegetables and include not just the well-known beta-carotene but also alpha-carotene, lutein, and lycopene. Diets high in fiber are also associated with lower risk of breast and colon cancers. Healthy fats are another food category correlated to lower incidences of breast cancer. Examples of healthy fats are monounsaturated fatty acids from olive oil and Omega-3 fatty acids from fish and flax. Also a diet high in lignans was linked to lower rates of hormone sensitive breast cancers. 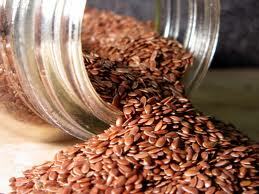 One of my favorite sources of lignan is flaxseed, because they also have fiber and Omega-3 oils, making them a great dietary addition to help prevent breast cancer. Add ground flaxseeds to cereal, smoothies, yogurt, salads, and any number of other foods. There have been numerous studies linking deficiencies of certain nutrients to higher rates of breast cancer. Many studies have shown a correlation between vitamin D deficiency and breast cancer. Vitamin D is thought to be particularly effective in helping prevent estrogen sensitive breast cancer. Among the other ways it is thought to reduce cancer rates, Vitamin D can inhibit the growth of cancerous cells by helping stop the replication of cancer cells and reducing their ability to invade other tissues. Selenium deficiency is also correlated with increased rates of nearly all cancers including breast cancer. Selenium is an important part of glutathione, one of the most important detoxification molecules in the body. Toxins in our environment, homes, cosmetics, food, and water are thought to possibly contribute to climbing rates of breast cancer. Therefore, it is also important to exercise to help the body get rid of toxins through sweat. Likewise, make sure you only use natural body care products since we seem to be able to absorb all sorts of chemicals through our skin. This entry was posted in Health and tagged breast cancer prevention, breast health, cancer prevention, food, health, nutrition, omega-3 fatty acids, women's health. Bookmark the permalink. I have also read that some plastics have an estrogen effect. I don’t know if they think it contributes to estrogen receptor positive cancers. This was a great article. I forwarded it to both my sisters who have already had breast cancer. Thanks so much for the great post. Annette PS I am going to try to make it to the Herb Society’s plant exchange next Thursday. Hope to see you there. I promise I will keep my car keys in my pocket! Yes, plastics were some of the toxins sources I was thinking of when I mentioned issues in our homes. I have been trying to find ways to reduce my plastic use. I am hoping I can make it on Thursday since I do have some extra comfrey.